The Akhal-Teke (/ˌækəlˈtɛk/ or /ˌækəlˈtɛki/; from Turkmen Ahalteke, [ahalˈteke]) is a horse breed from Turkmenistan, where they are a national emblem. They have a reputation for speed and endurance, intelligence, and a distinctive metallic sheen. The shiny coat of palominos and buckskins led to their nickname "Golden Horses". 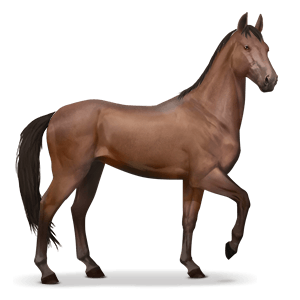 These horses are adapted to severe climatic conditions and are thought to be one of the oldest existing horse breeds.